Having low levels of vitamin D is very common, especially during the winter months. Vitamin D in the body comes from food consumed, and is made in the skin through synthesis. We need Vitamin D to maintain bone health and for calcium homeostasis. 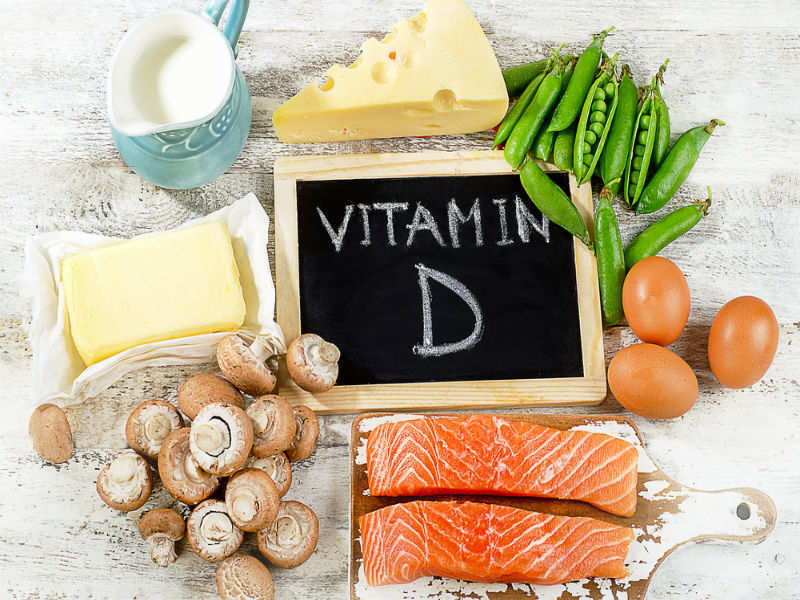 New areas of research suggest that Vitamin D can play a role in immunity and chronic disease risk reduction. It is used in the treatment of psoriasis and multiple sclerosis. Long-term Vitamin D deficiency can lead to rickets in children, a disease characterized by a failure of bone tissue to properly mineralize, resulting in soft bones and skeletal deformities. In adults, rickets can cause osteomalacia, resulting in soft, fragile bones and high fracture rates. Vitamin D is not found in a wide variety of foods. Supplementation is often necessary, especially during the winter time when our sun exposure is limited. Some foods that do contain Vitamin D include fortified dairy products, ready-to-eat breakfast cereals, salmon, liver, and eggs.